I love period pieces. Anything set in 19th century or Edwardian era Britain and I’m horizontal, remote in hand. 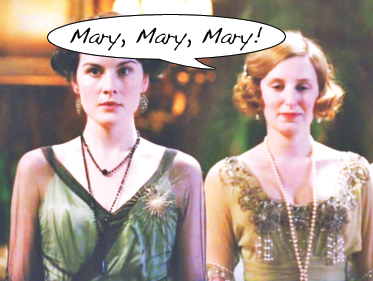 I downloaded the first season of Downton Abbey on iTunes this summer and I can’t recommend it enough. If my word isn’t strong enough, the series just took home a slew of Emmy awards on Sunday. Downton Abbey follows the lives of an aristocratic family, the Crawleys, and their overabundance of servants. The first season begins after the sinking of the Titanic. The acting and writing are superb. Professor McGonagall, I mean Maggie Smith, plays the stuck-up matriarch with just the right amount of arrogance to incite humor. Creator Julian Fellowes is known for his Oscar-winning screenplay Gosfard Park. Also, the musical score is perfection. I find myself humming it as I dust. 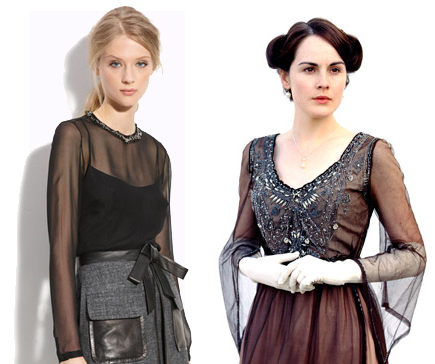 While Lady Mary Crawley is far from my favorite character (I judge anyone who does not love Matthew immediately), I can’t help but yearn for her wardrobe. However, I’d look like a fool walking around today wearing a giant hat, gloves, and floor-length clothing. I’ll just have to channel modern day Mary. The Zara blazer‘s black collar against a lighter fabric is very reminiscent of the jackets Mary sports. The one-buttoned tuxedo jacket is on trend right now, and the pencil skirt with an edgier ankle boot creates a modern look. Beaded embellishments were slowly being incorporated into women’s clothing during this time period and, of course, Mary was on top of it. The silk Robert Rodriguez blouse, with an embellished collar, is perfect for fall. Plus, it’s sheer which is just about everywhere right now. 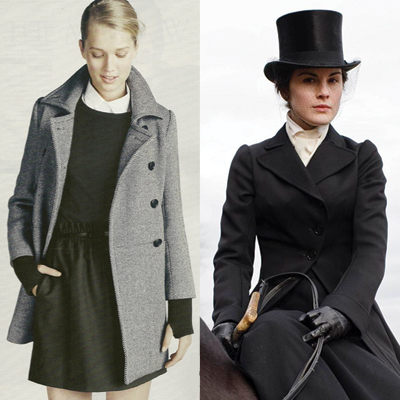 While Mary is literally an equestrian, today’s fashion is more figurative. The J.Crew Academy coat, complete with buttoned-up white shirt and layered black clothing, is so Mary I can’t even handle it. 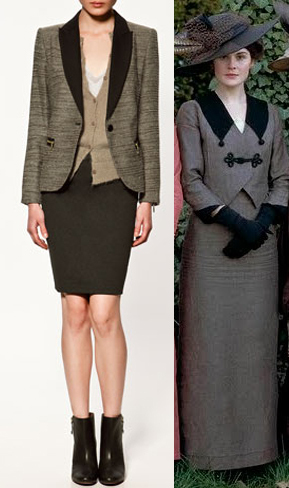 Jenna Lyons, are you watching Downton Abbey?! Can’t you just hear Edith’s response to this post? Poor Jan.
I’m dying to watch season 2!